There are Top Safety Picks. And then there are Top Safety Pick+ awardees, according to test results from the Insurance Institute of Highway Safety (IIHS). AND THEN, there are Top Safety Pick+ awardees with really good headlights. Only seven vehicles made that final cut from the IIHS: Chevrolet Volt small car, Honda Ridgeline pickup, Hyundai Elantra small car, Hyundai Santa Fe midsize SUV, Subaru Legacy midsize car, Toyota Prius v midsize car and Volvo XC60 midsize luxury SUV. 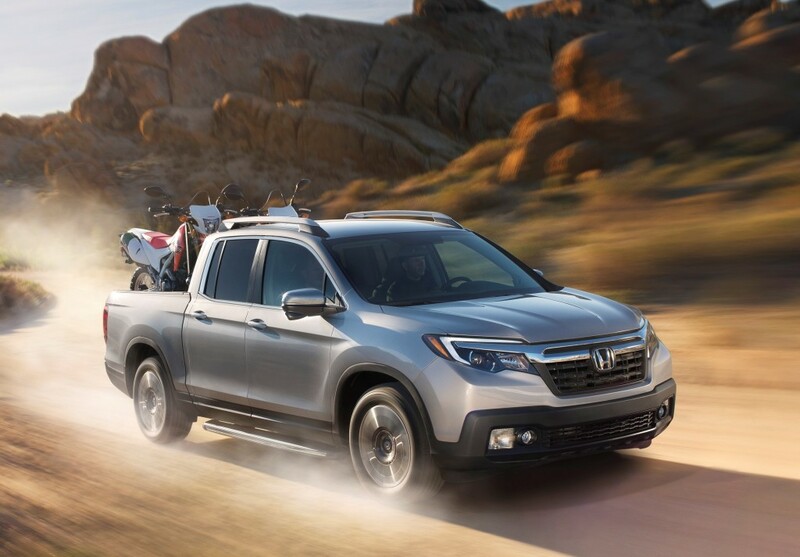 The Honda Ridgeline pickup rated in IIHS’s top seven vehicles. Another 31 vehicles received Top Safety Pick+ awards, which required an acceptable headlight rating in addition to good ratings on six other crash and crash-prevention tests. And 44 vehicles received Top Safety Pick awards from the insurance organization. All IIHS award-winning vehicles had to receive good ratings in the small overlap front, moderate overlap front, side, roof strength and head-restraint tests, as well as an advanced or superior rating for front crash prevention with standard or optional autobrake. The IIHS started the Top Safety Pick awards program in the 2006 model year to help consumers see the light on vehicles with the best safety performance without having to sort through a lot of ratings information. The Top Safety Pick+ award was introduced in the 2013 model year. IIHS launched headlight ratings after finding that government standards based on laboratory tests allow for “huge variation” in the amount of illumination on the road. “Nighttime visibility is critical to highway safety because about half of traffic deaths occur in the dark or at dawn or dusk,” the insurance organization reported. In the evaluations, engineers measure how far light is projected by low beams and high beams as a vehicle travels straight and on curves, while low-beam glare for oncoming drivers also is measured. Vehicles equipped with high-beam assist, which automatically switches between high beams and low beams depending on the presence of other vehicles, can get extra credit. A full list of awardees, including the 44 Top Safety Picks, is available on the IIHS website. Details on specific test ratings by vehicle also are available on the IIHS site. The IIHS updates its ratings throughout the year, so check back regularly if you’re shopping for a new vehicle.